We were sorting through the contents of his attic yesterday afternoon, Bevan and I, attempting to bring some order to the chaos of a hundred or more unmarked boxes, when something caught my eye. "Is this you?" I asked Bevan, holding up a tattered photograph that had escaped from the box I was moving. "Yup," he said. 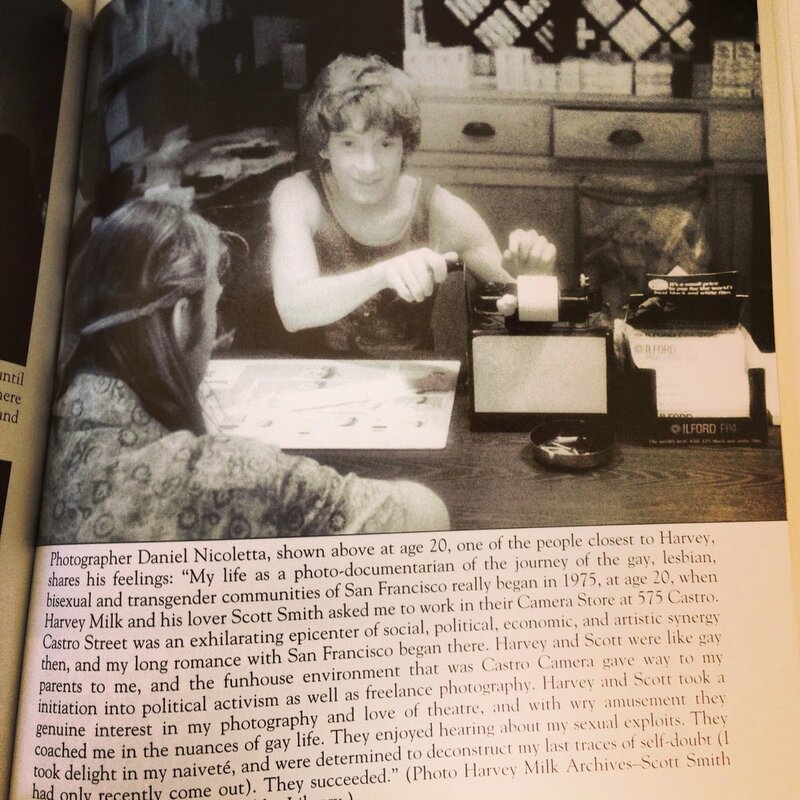 "That's me as a kid in my family's apartment on the Upper West Side." "I didn't know they had cameras back then," I taunted, smiling. "Do you have any other pictures?" "You're more than welcome to look," he responded, nodding at the boxes surrounding us. For the next several hours I unearthed from the dust-covered containers hundreds of photographs and mementos from Bevan's life. Among the assemblage were photographs of he and Shirley Chisholm, the first black woman elected to Congress, holiday cards from his mother's greeting card company and albums dedicated to summers spent in Provincetown with the Hat Sisters. After a while I began taking note of the items I found most remarkable and ranking them in my mind. By the time we were finished moving things around I had compiled a rather extraordinary (considering we were in someone's attic) list of keepsakes, which I've typed out below. 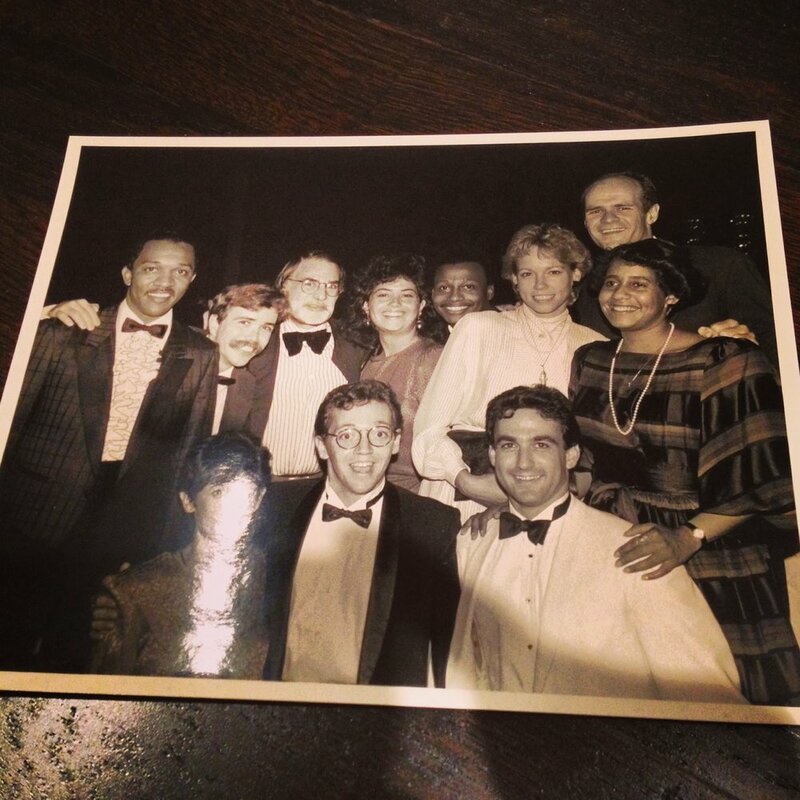 In the photo above, Bevan (front and center) poses with American author, playwright, public health advocate and LGBTQ rights activist Larry Kramer (back row, third from the left) at a dinner for the Human Rights Campaign Fund in Washington D.C. in 1985. Kramer is best-known for writing the Tony Award-winning play The Normal Heart and the Academy Award-nominated script for Women in Love. He was also a Pulitzer Prize finalist for The Destiny of Me, a play about AIDS. Bevan's dad, American author and nutrition activist William Dufty, moved out when Bevan was young, so there aren't many pictures of him in Bevan's possession. Following the divorce from Bevan's mother, the elder Dufty married three-time Academy Award nominated actress Gloria Swanson, who starred as Norma Desmond in Sunset Boulevard. Bevan's dad also ghostwrote Billie Holiday's 1956 autobiography Lady Sings the Blues, which was later made into a movie starring Diana Ross. Later in life he became an enthusiast for macrobiotic diets, about which he penned Sugar Blues, a book about the dangers of white sugar consumption, which was championed by his friends John Lennon and Yoko Ono. The above photo was sent to Bevan by his father's lover (yes, in spite of his marriages to Bevan's mother and Swanson, Dufty was gay), Dennis Fairchild, after Dufty passed away from cancer in 2002. Inked in the top left corner of the framed photograph above are the words "To my family the Duftys." The woman who scrawled those words, Billie Holiday, was a legendary American jazz singer famous for crooning jazz standards such as "God Bless This Child" and "Don't Explain". According to Bevan, Holiday, his godmother, spent long periods of time in his family's apartment while she and his father worked on Lady Sings the Blues. One of Holiday's albums actually features a clip of her teasing a then-two-year-old Bevan about his red underwear. Having finished reading Randy Shilts' acclaimed book The Mayor of Castro Street: The Life and Times of Harvey Milk only two weeks ago, I knew I'd seen the above picture of the first openly gay man to be elected to public office in the United States before. When I asked Bevan where he got it, he told me that his friend "Dan" had taken the photo and given it to him to hang in his office at City Hall during his time as a city supervisor. After a bit of questioning, I discovered that the "Dan" he was referring to was Dan Nicoletta, a man noted for photo-documenting queer culture beginning in the 1970s. 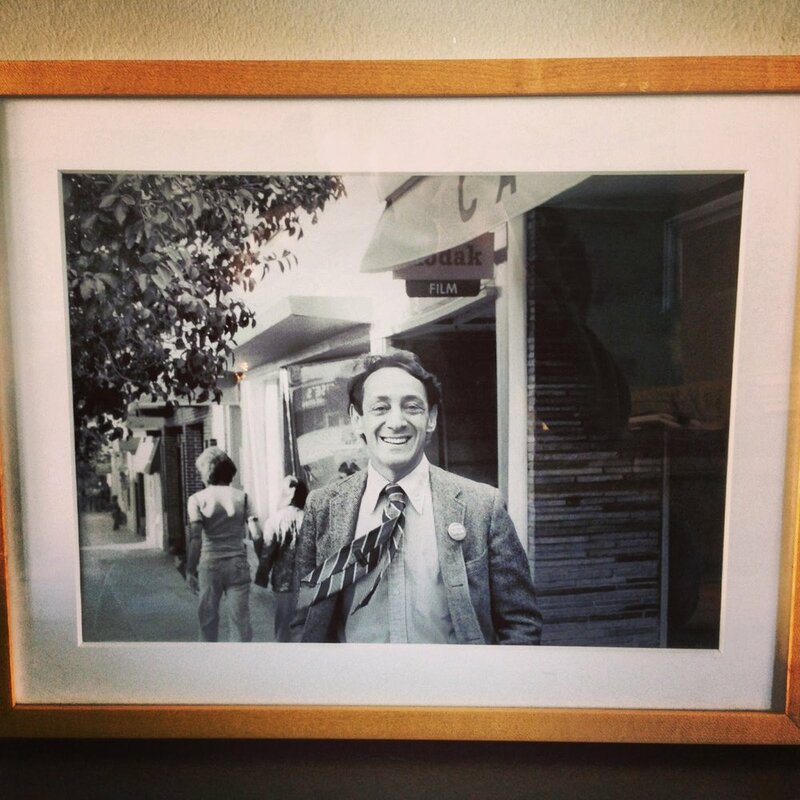 Nicoletta was also one of Harvey Milk's closest friends. The photo below, which I copied from Strange de Jim's San Francisco's Castro, shows Nicoletta working as an employee at Castro Camera. The photograph was taken by Harvey Milk. 1. An Autograph from Martin Luther King, Jr.
As we were packing things away, our fit of organization satisfied for one afternoon, Bevan picked up a record titled March On Washington: The Official Album, handed it to me and told me to read the back. "It's signed," I said, referring to the album jacket. "By Martin Luther King, Jr.!" Bevan's mother, Maely Daniele Dufty, worked for A. Philip Randolph, a leader in the African-American Civil Rights Movement. It was Randolph who introduced Dufty to Dr. King while she was coordinating and editing the album of speeches from the historic march, a copy of which he signed for her. As we descended the steps from his attic, leaving the keepsakes behind, I asked Bevan what he thought of the extraordinary lives of he and his parents. "I guess I don't really think about it that way," he said after a moment. "It's just the family I was born into."